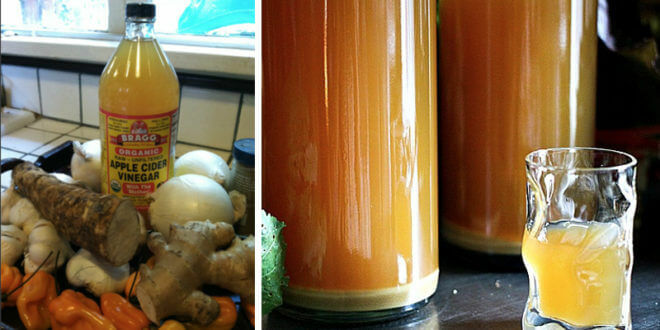 Fire cider is a potent drink that can protect you from a cold or flu. 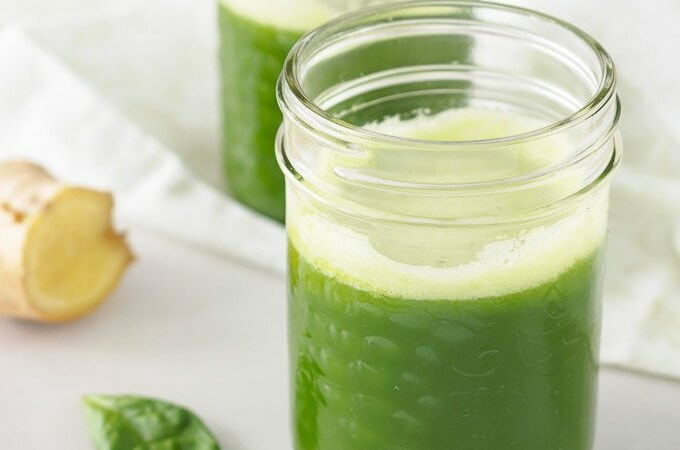 The regular consumption of this tonic can ease congestion, digestion, and sore throat, and protect you from allergies. The best part is that the procedure of making fire cider is very easy and simple. Just follow the instructions below! Fire cider is a vinegar herbal infusion that has the ability to extract properties from the spices and herbs that you combine. You will get a warm drink that possesses potent antibacterial, antiviral, antifungal and antimicrobial properties. It is an effective remedy for treating cold or flu. It can be also used to relieve upset stomach, season allergies, and sinusitis symptoms. In the case of cold or flu, it is recommended to take a spoonful of fire cider every 1-2 hours. It can be also mixed into a soothing tea. In order to boost your immune system and protect yourselves from cold, flu and seasonal allergies, you should take one spoonful every day. If you have a sore throat, you should mix equal amount of raw honey and fire cider and take this every hour. In order to treat sinuses or congestion in the lungs, take one spoonful of fire cider combined with a tea, every couple of hours. To ease digestion, take a spoonful of fire cider before each meal. To fight drowsiness just take a shot of fire cider. The procedure of making fire cider is very simple and easy. The main ingredient is raw apple cider vinegar. Make sure to purchase a large bottle, or a few smaller bottles so you will have enough vinegar for the entire winter. Scrub the ginger root and the horseradish so you will remove their skin. Then, grate the ginger root, onion, and horseradish into a bowl. Next, crush the garlic and place in the bowl. Chop the fresh rosemary, slice the cayenne peppers in half, and crush the coriander seeds. Put all the ingredients in the bowl and mix well. Pour the herbs from the bowl into a glass pint jar and pour raw apple cider vinegar to fill the rest of the jar. Place the fire cider in a dark and cool place. You should shake the jar once each day. Let the fire cider to age for 4 weeks then strain into a bottle. That is it! Your fire cider is ready.